Throughout this Torah series, we will look at how the gospel of Jesus (Yeshua) is to live a repentant life, to turn from sin, and to live our lives for the glory of God. Do you believe Jesus will come to destroy those who disobey his gospel? (2 Thessalonians 1) Do you believe the NT teaches this is the same Jesus that will come at a future time to destroy those who reject God’s commands? Is this description of Jesus consistent with who we know him to be according to modern theologies? Based upon these questions, does Jude 1:5 sound like the modern descriptions of who Jesus is as coming back to destroy those who would not believe? (e.g. the Hyper Grace Movement) These questions are very significant, and contain a powerful truth about the Lord God our Father in heaven and Jesus His Messiah. Understanding who Jesus is as God’s Messiah and the the covenant of God will change our understanding of who we are in the Messiah at the most basic level. The Lord wants us to live empowered lives, to overcome sin, and to live for Him in righteousness and truth. It is in these things that he has given us reasons to rejoice, to magnify and glorify his name, which are all related to the work he is doing in our lives. There is a great deception in the world today where various Christian theologies are being brought together to create a different understanding of both the Lord God of Israel, Jesus the Messiah, and the biblical descriptions of who we are as His Children. 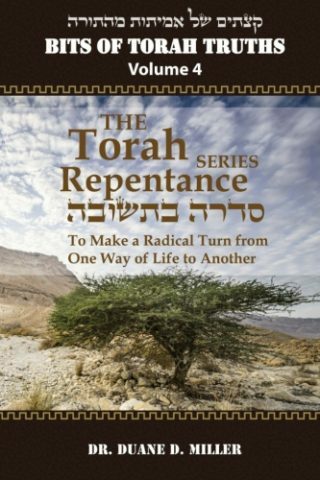 In this Torah series, we study the importance of repentance as it is related to our salvation and relationship with God.